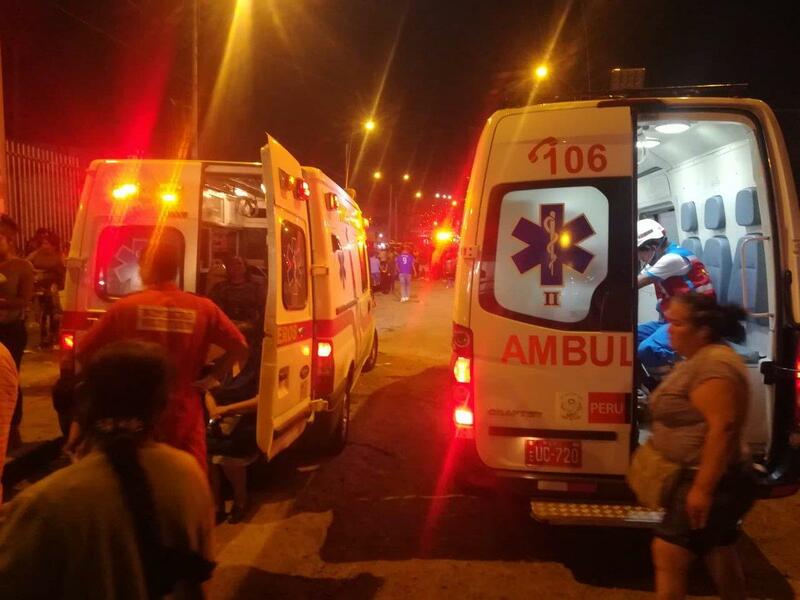 LIMA, March 31 (Xinhua) -- At least 20 people were killed as a bus caught fire in the Peruvian capital Lima late Sunday, local media reported. According to Peru21 news outlet and the Andina news agency, the long-distance bus was en route from Lima to Chiclayo and full of passengers when it burst into flames. The cause of the accident has yet to be determined, said the reports. It has been the second deadly bus accident recorded in Peru since the beginning of this year. On Jan. 25, at least 10 people were killed and 30 others injured when a passenger bus fell into a river in central Peru.